VW CEO Mueller plans visits to Capitol Hill to meet with lawmakers. WASHINGTON (Reuters) -- Volkswagen CEO Matthias Mueller will meet with the top U.S. environmental regulator next week, the highest-level talks since the automaker admitted to using software to evade emissions requirements in 580,000 U.S. vehicles. Mueller will meet with U.S. Environmental Protection Agency (EPA) chief Gina McCarthy on Wednesday in Washington, agency spokeswoman Laura Allen said. The meeting is at the request of VW, she said. The meeting comes a week after the U.S. Justice Department filed a civil suit against VW seeking up to $48 billion in damages under the Clean Air Act. The EPA said this week that after months of talks "recall discussions with the company have not produced an acceptable way forward. EPA continues to insist that VW develops effective, appropriate remedies as expeditiously as possible." VW declined to comment on next week's meeting. Mueller also plans visits to Capitol Hill to meet with lawmakers. 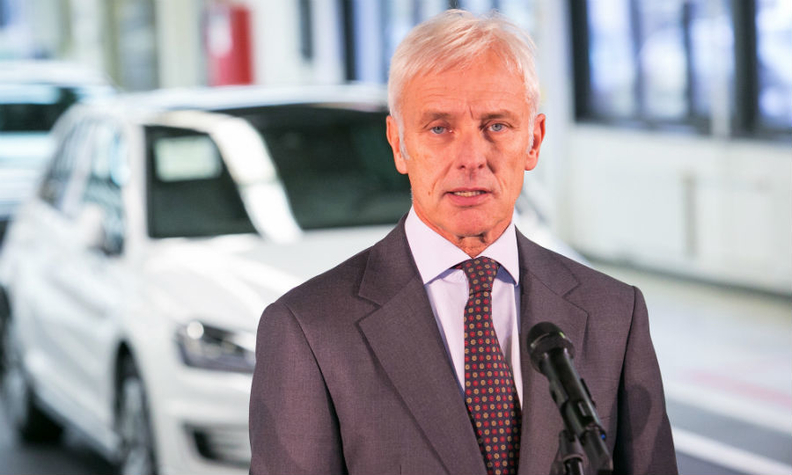 On Tuesday, VW brand chief Herbert Diess said he is "confident we will find an acceptable solution." Diess said fixing older VW cars equipped with 2.0-liter diesel engines will be more difficult than bringing more recent models into compliance. Some U.S. regulators and lawmakers have said VW may have to buy back older models. Diess didn't say whether VW is discussing that, but said he is optimistic an agreement with U.S. regulators will be reached soon. Also Thursday, German daily Sueddeutsche Zeitung reported VW will have to buy back about 115,000 cars in the U.S. as a result of the emissions scandal. The paper said VW expected it would have to either refund the purchase price of a fifth of the diesel vehicles affected or offer a new car at a significant discount. VW declined to confirm the report. Mueller was named CEO in September, days after the company's long-time CEO, Martin Winterkorn, resigned. Winterkorn stepped down after the EPA disclosed that the automaker had secretly installed software that allowed some 2009-2015 cars to emit up to 40 times legally allowable emissions in real world driving. VW said the issue affects up to 11 million vehicles worldwide. Mueller is making his first trip to the U.S. since taking over at VW, visiting the Detroit auto show. U.S. prosecutors have launched a criminal investigation. VW has also hired Washington lawyer Ken Feinberg to create a diesel emissions claims program and faces more than 500 U.S. lawsuits.